Why is a given point in a dataset marked as an outlier by an off-the-shelf detection algorithm? Which feature(s) explain it the best? What is the best way to convince a human analyst that the point is indeed an outlier? We provide succinct, interpretable, and simple pictorial explanations of outlying behavior in multi-dimensional real-valued datasets while respecting the limited attention of human analysts. Specifically, we propose to output a few focus-plots, i.e., pairwise feature plots, from a few, carefully chosen feature sub-spaces. The proposed LookOut makes four contributions: (a) problem formulation: we introduce an “analyst-centered” problem formulation for explaining outliers via focus-plots, (b) explanation algorithm: we propose a plot-selection objective and the LookOut algorithm to approximate it with optimality guarantees, (c) generality: our explanation algorithm is both domain- and detector-agnostic, and (d) scalability: LookOut scales linearly with the size of input outliers to explain and the explanation budget. Our experiments show that LookOut performs near-ideally in terms of maximizing explanation objective on several real datasets, while producing visually interpretable and intuitive results in explaining groundtruth outliers. 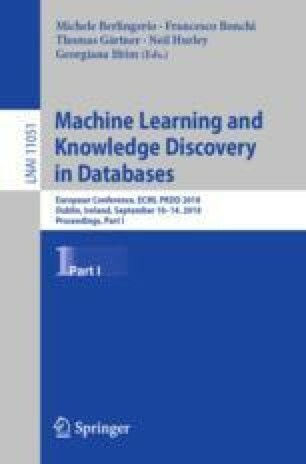 Code related to this paper is available at: https://github.com/NikhilGupta1997/Lookout. This material is based upon work supported by the National Science Foundation (NSF) under Grants No. CNS-1314632, IIS-1408924 and IIS 1408287, by NSF CAREER 1452425 and the PwC Risk and Regulatory Services Innovation Center at Carnegie Mellon University. Any opinions, findings, and conclusions or recommendations expressed in this material are those of the author(s) and do not necessarily reflect the views of the National Science Foundation, or other funding parties. The U.S. Government is authorized to reproduce and distribute reprints for Government purposes notwithstanding any copyright notation here on.